You’ve put months (not to mention energy) into planning your event, and it must be a success—no ifs, ands, or buts about it. You don’t just want your client to be happy, though that’s part of it, but your attendees truly deserve the experience of their lives whether that means being entertained, educated, or MOTIVATED to take action. Motivational Keynote Speaker for Businesses Like Yours! Sure, a motivational keynote speaker can hold your audience’s attention for 45 minutes. They can tell some stories, make some jokes, and give your attendees a few nuggets to think about. However, the real benefit is what happens after the event is over. When you hire the right business keynote speaker, your attendees will be inspired. The right motivational speaker will ignite their passion and productivity, and uncover their inner rock stars. Using the lessons learned from top musicians, Business Rock Star “Marvelless” Mark Kamp brings rockstar success to your business. Opportunity Rocks is an energetic, funny, and interactive keynote event where attendees will learn the innovative success secrets behind the Rolling Stones, Jay Z, Lady Gaga, and Aerosmith. Using the same techniques as these bona fide rock stars, your attendees will discover how to reinvent and revolutionize their business. 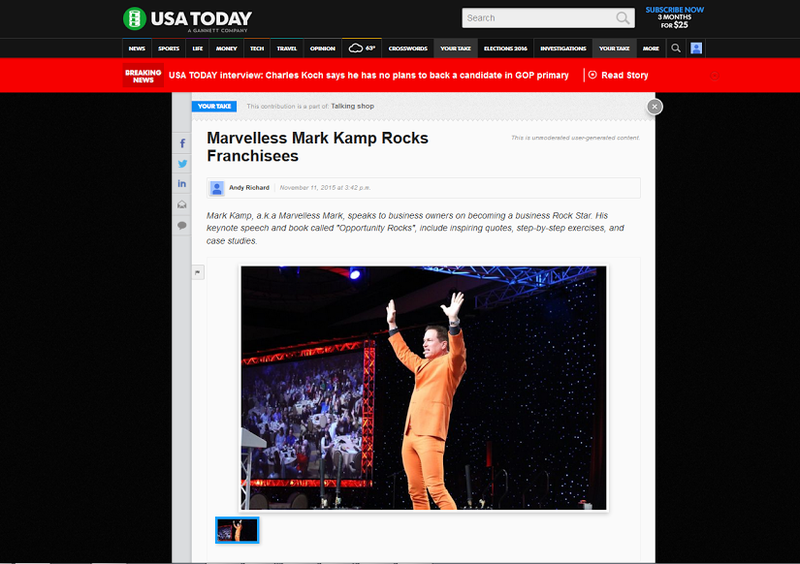 “Marvelless” Mark Kamp has a larger than life persona and years of experience in the entertainment industry that will have your attendees engaged, entertained, and cheering for more. Mark has a proven track record of happy audiences and happy meeting planners. His multi generational, motivational, entertaining and engaging program makes a great keynote or breakout session. 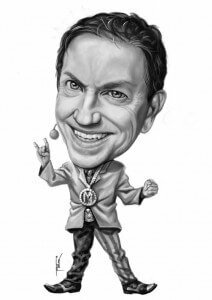 If you’re ready to book the right motivational speaker, one who will create a memorable experience and make business rock stars out of your attendees, you need Marvelless Mark’s Opportunity Rocks at your next event. Marvelless Mark is the stage name of entrepreneur and entertainment success, Mark Kamp, Combining the work ethic of a Missouri farm boy with the stage persona of a rock star, Mark created an innovative, extraordinarily successful business. He did it using the business secrets of the greatest rock stars of all time– the same principles he teaches in Opportunity Rocks. BRING MARVELLESS MARK TO YOUR EVENT, CLICK HERE TO BOOK TODAY!